Welcome to one of the Caribbean’s premier vacation destinations. Scattered across nearly 2,000 islands in the Atlantic Ocean, this iconic commonwealth is the stuff dreams are made of; palms sway in the breeze, clear waters lap at the shore, and friendly locals enchant tourists with calypso music, incredible cuisine, and an endless string of shops. Spend just one day in this paradise, and you’ll see why so many artists and musicians have immortalized the Bahamas in their work. With a bevy of destinations to explore, however, it can be tough to decide where to go first. Let Travelocity.ca guide you through the process of booking the perfect Bahamas vacation with this list of affordable locations. 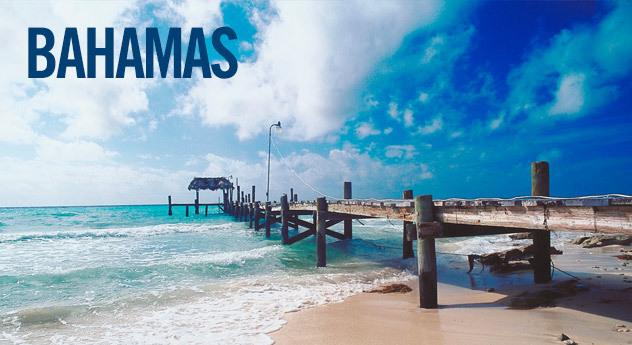 Comprised mostly of Nassau, the Bahamas’ bustling capital city, this island is the ideal place for a family with kids. Wander through the Caribbean architecture of Old Town; meet flamingos and parakeets at the Ardastra Zoo & Conservation Center, and then see a recreated pirate battle at the child-friendly Pirate Museum. Plus, you’ll find several Bahamas all inclusive resorts located just outside the city center, so you can get a taste of the city and the best of the beach all in one trip. Looking for the area’s best fishing, diving, and caving spots? Try one of the Bahamas vacation packages near the Grand Bahama city of Freeport. You’ll be able to dive through the limestone caves near Lucayan National Park, fish around Deep Water Cay and go on a glass-bottom boat tour to sneak a peek at an array of tropical fish. What’s more, these cheap Bahamas vacations put you right next to several breathtaking beach spots. Consisting of three small islands, the Bimini district is among the Bahamas’ most secluded tourist destinations. Fishing aficionados may want to day-trip over to South Bimini for some unbeatable waters, and literature buffs will love learning about the area’s Hemingway connections. Interested in a little folklore? Rumor has it that the famous Fountain of Youth and Lost City of Atlantis are located here. No matter where you choose to go, Travelocity.ca can help you find the most inexpensive all-inclusive vacations Bahamas has to offer. We’ll even give you access to incredible deals and specials, so you can get a luxury vacation at discount prices. With Travelocity.ca, a trip to the Caribbean is right at your fingertips.